ORCA HealthCare has worked closely with a number of care homes and care providers over the years, and we know just how important it is that hospital and care home rooms are versatile, safe and offer maximum comfort to users. While your primary focus is quite rightly on the client, we understand that care staff can do their jobs better with high quality hospital curtain equipment that’s easy to use. That’s why we are proud to be official suppliers of ropimex®products. The entire ropimex®line is not only versatile and easy to use—it’s also designed and manufactured to the highest German standards. 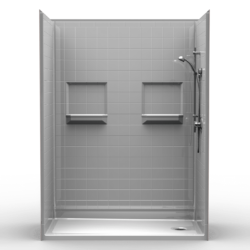 Founded in 1976 by engineer Wolfgang Opel, ropimex®specializes in delivering innovative products designed to offer maximum privacy and comfort to hospital patients and care home users. The innovative telescopic and folding curtain rods, for example, are perfect for rooms where space is limited. They are also suitable to use in conjunction with ceiling lifts, as they won’t interfere with the lifts during patient transfers. 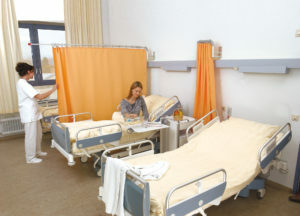 Using traditional rods, privacy screens and hospital curtains can be limiting, causing difficulties for care staff and disruption to the patient’s comfort. ropimex®address these issues and more with some exciting products we can’t wait to share with you! The swing-out and self-supporting ropimex® telescopic curtain rod is perfect for spaces where privacy screens are only required at certain times. When you’re finished, simply push the screen together and turn it towards the wall. The telescopic function means the screen can cover several beds without the need for separate brackets. Designed to offer a secure and private area for users, but also to be quick and simple to operate, the telescopic screen is lightweight yet reassuringly sturdy. This clever fold-down rod for privacy curtains is ideal for any room or area where telescopic screens cannot be swung to one side as needed because of a lack of space or obstructions. When the curtains are not in use, they can simply be pushed together and folded down, saving space and ensuring they don’t get in the way. In one of the most innovate hospital curtain solutions we’ve seen, the rod can even be mounted in a wardrobe or cupboard for maximum discretion and space-saving! The ropimex®RTI is designed to be lightweight and easy to handle, but also extremely durable and robust so it won’t let you down. The ropimex®telescopic arms feature hooks at the distal end, are designed to be used in conjunction with a ceiling mount, and conveniently fold down and swing out as and when required. This solves the problem presented by many room dividers—namely that they can cause an obstruction when they’re not needed and take up valuable space even when they’re not in use. The arm is available in a choice of two lengths, and the longest model we stock gives you a maximum screen length of 350cm. This offers unrivalled versatility, allowing you to configure your hospital screens exactly how you want them, and even divide a room into separate cubicles. As with all ropimex®products, the RTH is designed to be easy to install and operate. 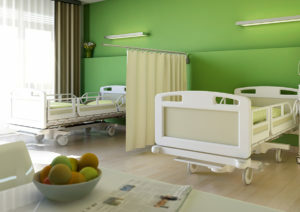 Of course, you’ll need suitable healthcare curtains to complete your ropimex®arms or rods, and our Trevira® CS Bioactive curtains are the perfect solution. Not only are they flame-retardant and permanently anti-microbial, but they look good, too. If you want to avoid that traditional, sterile institutional feel, you’ll love the range of color options in the Trevira® CS Bioactive curtains range. 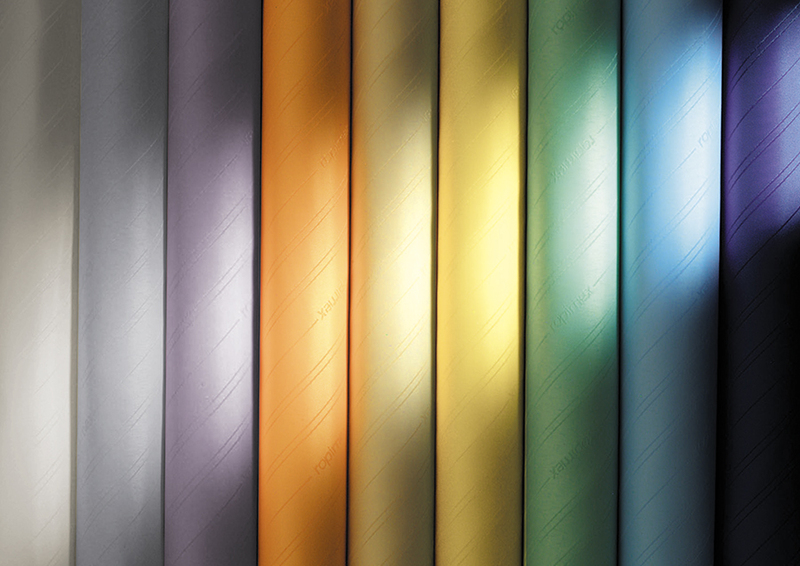 Choose from a variety of shades, including soft neutrals and vibrant brights, and create an attractive, welcoming environment for your clients, patients and staff. The perfect hospital cubicle curtain, the Trevira curtain is manufactured from high quality polyester and lets through daylight, yet is translucent to ensure your patients’ privacy. We know you need tough, durable equipment in any care environment, so rest assured that these privacy curtains are built to last. They’re also light-fast and crease-resistant so will look good with minimum upkeep. We’re thrilled to be working alongside ropimex®to bring you some truly exciting and innovative products that we’re sure will increase patient comfort while making life easier for your staff. As always, our friendly and knowledgeable team are here to answer any questions you might have about our ropimex®range or any of our other products. Please don’t hesitate to contact us if you’d like any further information or advice.